Read the story of Elizabeth and Olufemi and thank God for the mercy and love this Care Worker, Elizabeth, is pouring out on one of the most vulnerable children in Nigeria. Olufemi’s past is very unclear, no one is sure of her age. By an estimate, she is eight or nine years old. 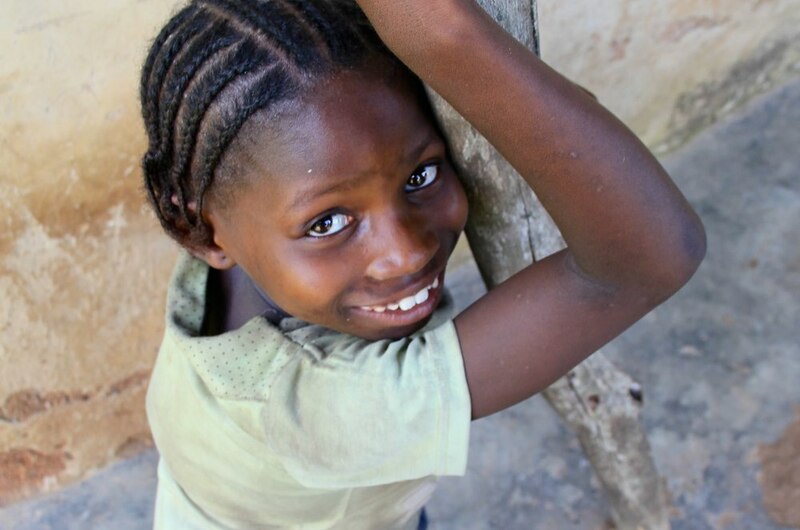 Olufemi was born with a severe hunch in her back and a protruding chest. She has probably never received medical treatment for her condition. The nearest hospital is expensive and far away. Olufemi’s mother passed away three and a half years ago, leaving her in the care of her elderly grandfather, whose health has diminished significantly in recent years. In 2011, Elizabeth, a teacher and Care Worker from Elekuru Community Based Organisation began to visit Olufemi in her home. She quickly realised how vulnerable Olufemi was and how desperately she needed love and care. Soon after Elizabeth’s visits, Olufemi was enrolled in the kindergarten class at Elekuru Community School. Each day, the Care Workers ensure Olufemi receives a good portion of nutritious food – often the only meal she will eat. Olufemi is thriving in this new environment. She loves learning the alphabet and attending school with her friends. She is the first in class to put up her hand and answer questions. Olufemi has not let her physical challenges stop her from living a happy life. She is often seen giggling and whispering with her two best friends, who see beyond her disability and accept her with love as her Heavenly Father does. In fact, Olufemi means ‘God loves me’. Olufemi’s life at home remains challenging. Each evening she joins a group of neighbourhood children who travel through the bush to the next village to collect water. Her grandfather’s infirmity means Olufemi has sole responsibility for the household. When Elizabeth visits Olufemi in her home each week, she often helps her with laundry and other chores. As her grandfather’s ability to care for Olufemi decreases, the Care Workers have begun the process of placing her in the permanent care of Elizabeth. Elizabeth knows she has been called to care for the most vulnerable children and she is giving her life to ensure Olufemi will always have the love and attention she needs.